A year after the Iraqi special operations units that lead the effort to defeat ISIS and suffered high casualty rates was reduced by nearly half its force in doing so, the lead inspector of the Defense Department will evaluate whether U.S. and coalition assistance to those units are enabling them to continue to defeat insurgents. A memo published by the Inspector General of the Department of Defense announced the project his week. “Our objective is to determine whether the U.S. and Coalition’s train, advise, assist, and equip efforts enable the Iraqi Qwat Khasah (Special Operations Forces) infantry units to defeat insurgents in accordance with theatre campaign objectives,” according to the memo signed by Kenneth Moorefield, deputy inspector general for special plans and operations. Iraq’s most coveted special forces unit suffered a nearly 40 percent casualty rate in its drive to liberate the dense city of over one million inhabitants, according to a U.S. Defense Department budget request seeking funds to help rebuild and equip the specialized unit. The battalions are also geared as a quick reaction force for direct-action operations. The goal, according to the 2019 budget request document, is to free up the Iraqi Counter-Terrorism Service for its national-level mission. The CTS was one shining example of military success in the formation of units after the fall of Saddam Hussein, according to many experts. It held together after the ISIS led campaign took over large swaths of territories outside of Baghdad. 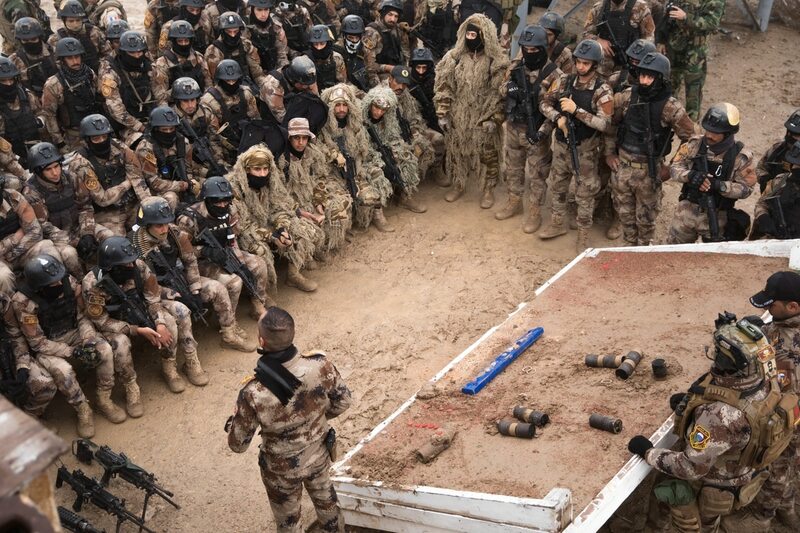 Because of the robust training and capabilities, the CTS was thrown into more conventional, high attrition fighting against ISIS elements in recent years, leading to the high losses. The service led operations to retake Tikrit, Ramadi and Beyji in 2015, Fallujah in 2016 and Mosul through 2017. It was in Mosul where the CTS took heavy casualties that alarmed many concerned with the continued operational sustainability of the force.